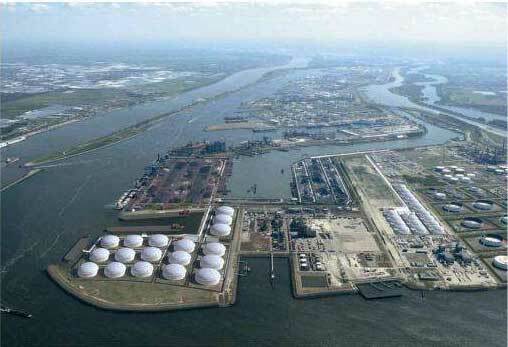 The Port of Rotterdam Authority and Shtandart TT, a 100% subsidiary of Russia's Summa Group, have terminated their contract for the construction of the Tank Terminal Europoort West. The terminal, which ultimately would have had a capacity of over 3 million cubic metres of storage space, was intended for transit of Urals crude oil and oil products. At the end of 2010, the Port Authority launched an ‘open assessment procedure', which led to a contract with Shtandart TT. At the beginning of 2013, the Port Authority handed over the site to Shtandart, ready for construction. By early 2015 all of the building and environmental permits necessary for construction and operation of the terminal were in place. The contract between the Port Authority and Shtandart TT, which was concluded four years ago, included agreements on the schedule and the quantities of crude oil and oil products that would be handled at the terminal. Shtandart TT has recently initiated discussions on the feasibility of the project, which have led to the decision to terminate the joint project. Considering the highly dynamic nature of the global oil sector, including that in Russia, and developments in the handling of oil products in Rotterdam, the Port Authority believes it may be possible to develop the terminal concept with another interested party now that the site is available again. The handling of mineral oil products was up by more than 25% at the Port of Rotterdam in the first six months of 2015. The main reason behind this is an increase in Russian fuel oil that is shipped to the Far East via Rotterdam. About 30% of the crude oil that has arrived in Rotterdam has come from Russia in the last decade.